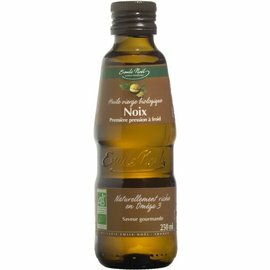 Emile Noël Organic Grapeseed Oil is a clear light green oil with a very fine and subtle aroma. Emile Noël Organic Grapeseed Oil is a clear light green oil with a very fine and subtle aroma, grape seed oil is often used in France and Italy as a basis for herbal oil. Grapeseed oil is a very good source of unsaturated fatty acids with the added advantage that grape seed oil can be used cold and hot. Grapeseed oil is very suitable for dressings or marinades, it has a soft, light nutty taste. Because of the relatively neutral taste, it is also suitable as a basis for making homemade mayonnaise. In dressings and marinades the special taste of the tannin creates an extra dimension. Grapeseed oil is a very good cooking oil, pleasant in salads, with raw vegetables and in mayonnaise. Use alone or mixed with other oils, such as extra virgin olive oil. 100% pure organic grapeseed oil, cold pressed. * VNR: Nutritional Reference Values. The traditional production process used by Emile Noël is traditional and old using old, carefully maintained screw presses to extract the oil slowly and carefully. 2 to 14 kg of raw material is needed to produce one liter of oil, depending on the type of seed used. 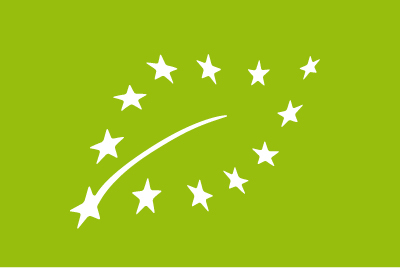 At Emile Noël, every effort is made to preserve the nutritional and organoleptic properties of the raw material. The organic oils of the Emile Noël brand are manufactured using mechanical processes, first cold-pressed without any chemical treatment. The presses used go back to the beginning of the mill in 1960, these are in excellent condition and work perfectly. The presses work with a worm gear mechanism, which rotates very slowly at a temperature lower than 60 ° C. This minimizes the warming of the raw materials, which in this way have time to flow slowly. 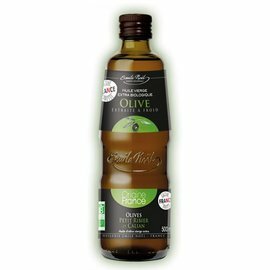 Manufactured with a passion that respects traditional craftsmanship, the oils of the first cold pressing retain the full nutritional value of fatty acids and vitamins. Naturally and authentically they deliver the taste and finesse of the fruit or seed from which they originate. In other words, the traditional production processes that characterize Emile Noël oils make it possible to combine goodness and excellent taste in your food and cooking. 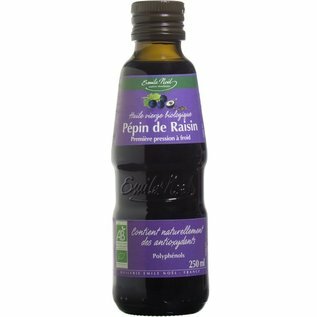 EMILE NOËL ORGANIC GRAPESEED OIL at NATURAL BIO STORE!